Want to be super comfy yet still look stylish? Then here we have your answer! Culottes all the way. If you're late to the game the you should consider investing in a pair, you'll never look back. 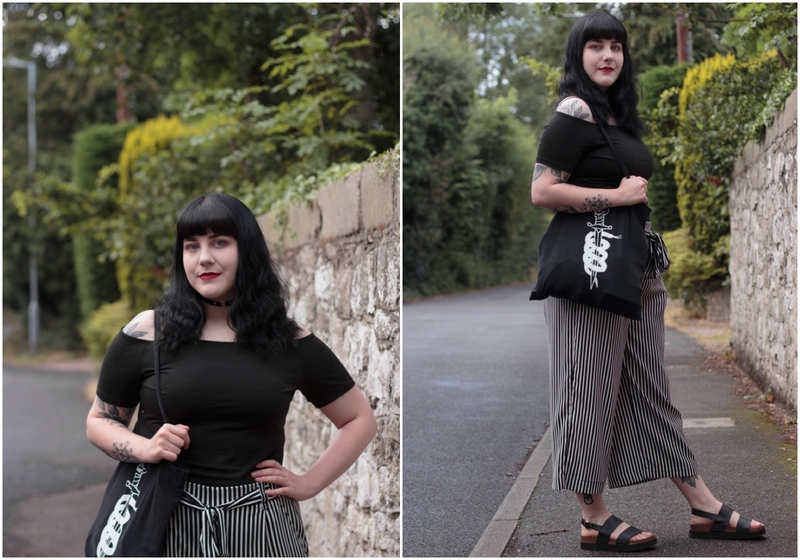 I have once before posted about my obsession with culottes, but I sort of stopped wearing them so much as the weather got warmer but I've styled an outfit thats easy to wear on the cooler days, and it sort of reminds me of Beetlejuice. It must be a good 'un! 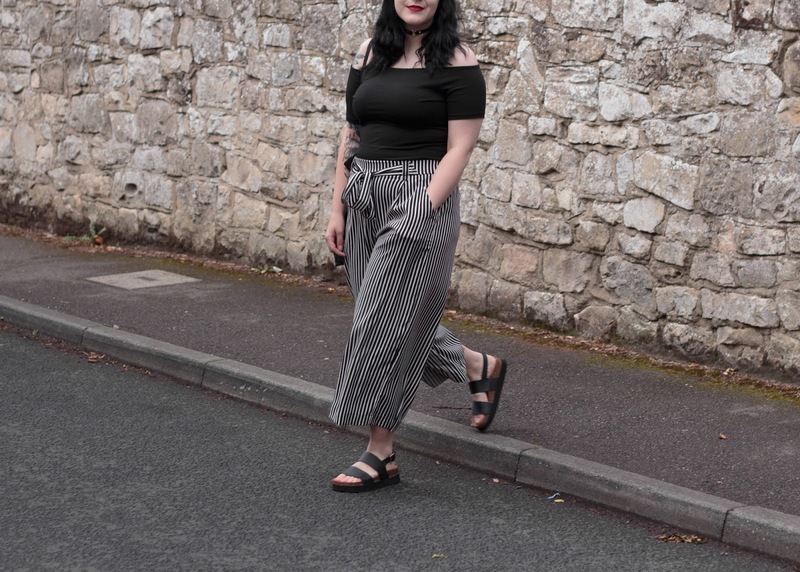 Culottes are a love of mine because of their loose fit, something I struggle a lot with is finding trousers that actually fit me properly. Jeans and most types of trousers are out of the question so it's nice to actually have some form of trouser that I can always count on to fit, and to boost my outfit! The thing that drew me in to these beauties is, obviously, the stripes. You can never own too many stripes! I love how the tie feature brings in the waist nicely and sort of enhances my curves too. I wanted to make the trousers the main feature of the outfit so I added subtle items to bring it all together. 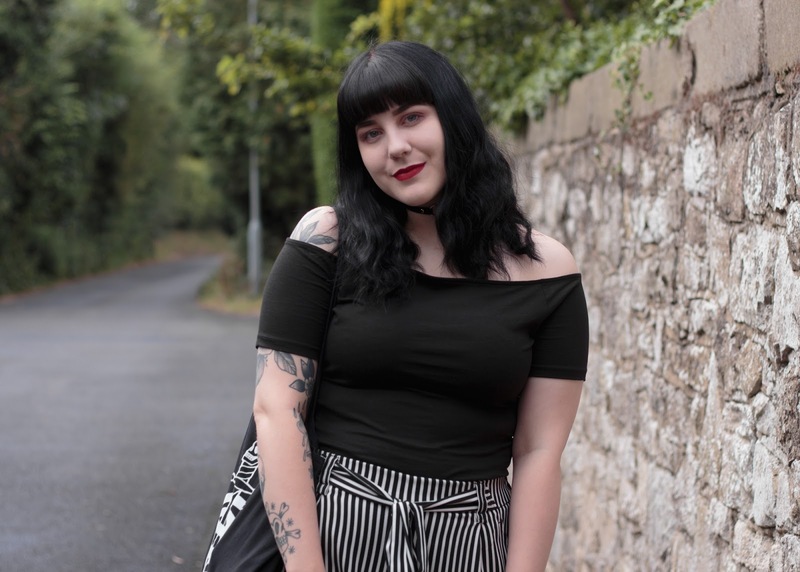 A new love of mine is bardot tops, I'm slowly coming round to accepting that it's okay to have my shoulders out and that I don't look terrible. They also come in pretty handy for those warmer days, when normal tshirts and trousers together may be a bit too much. After forever wanting a pair of Birkenstocks but never being able to justify spending that much money on a pair, I found a beautiful pair of shoes in Primark of all places and they sort of remind me of them, but more chunky and with straps, which means them a bit more wearable with them being so big on your feet! So that’s the name of the pants - Culottes! I’ve been calling them flowy pants since I first saw them. 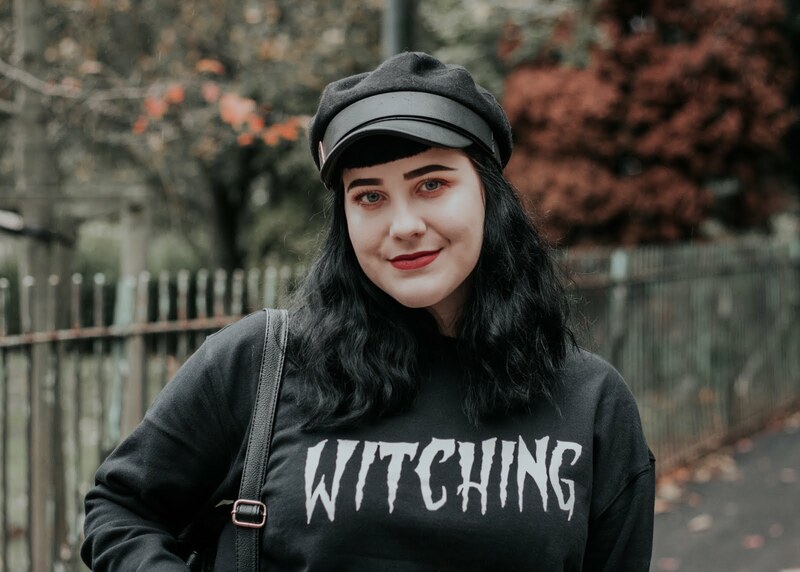 I’ve seen few on ASOS but currently don’t own a pair but they look really comfy! 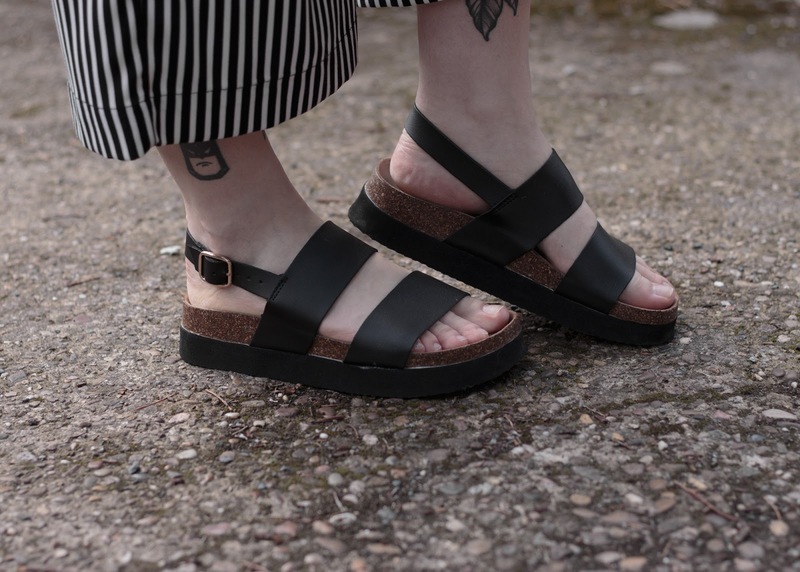 Funnily enough I was also looking at getting Birkenstocks but also wasn’t a huge fan of the price; I know they last long though so one buy of them and you’re set for a while but I love the Primark ones you have - the good part is that it has a back strap! The whole outfit really ties together and looks really comfy! I love this whole outfit you put together, you are rocking it girl!!! that choker though!!! I'm loving this look! 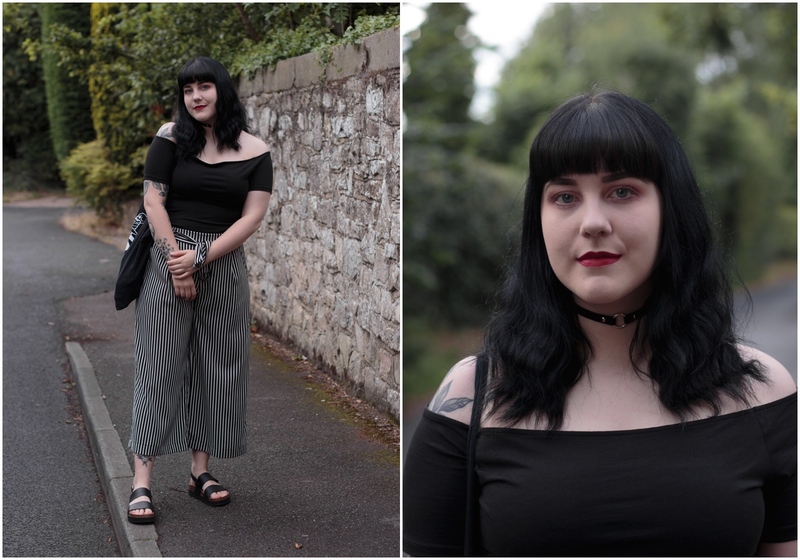 You pull off culottes so well... I just look like I'm drowned in them. Really like how you paired this outfit with red lips - they really do stand out. 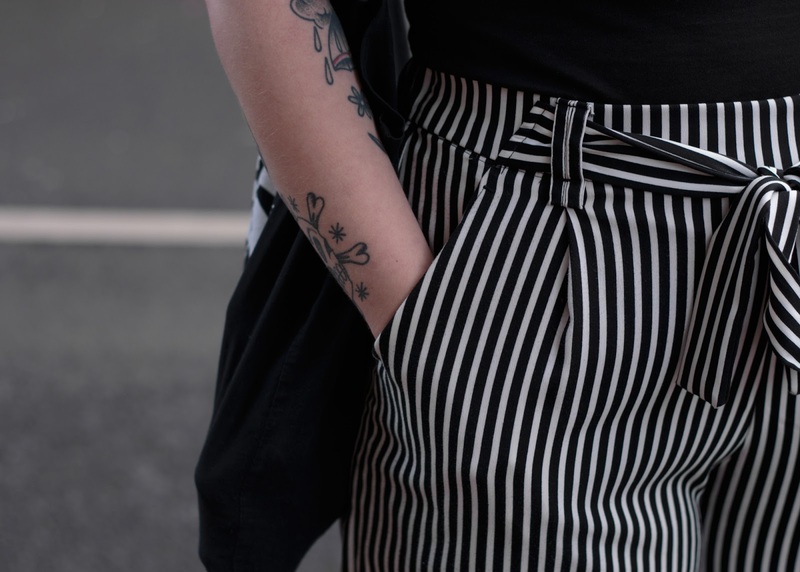 Culottes look so cool, especially these, I love how you styled it, kept it simple and true to your style! You look amazing!